Viva Las Vegas!! Last week I headed to arguably one of the most instagrammable cities on the planet! With eye candy everywhere, you really can’t go wrong with doing it for the ‘gram. It’s sparkly, boujee and over the top at every turn! 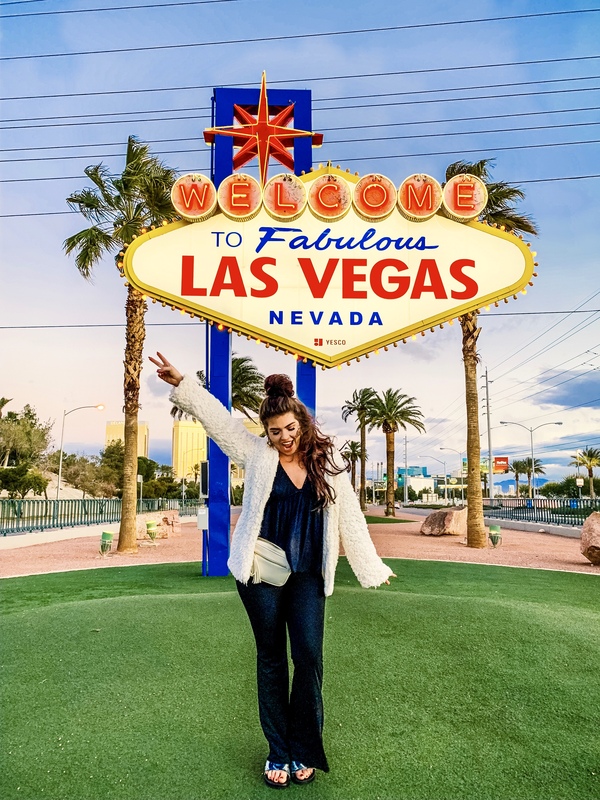 In addition to pretty much every hotel and restaurant in Vegas, I’ve compiled my list of MUST take photos while you are in the Entertainment Capital of the world. P.S. All are free OR Budget friendly to boot! The Las Vegas Sign- This is a must!! So iconic and easy to get a good picture. I went around 6:30 am, and there was no one around (score). The sign is actually off the strip and attached to a little parking lot in the middle of the road (which I wasn’t expecting), so if you drive over, you don’t have to worry about parking. Pro tip: Stand a little bit to the side of the sign instead of center for the best picture (to avoid blocking the sign). The Neon Museum- In Downtown Las Vegas, This place has been on my bucket list for SO long! 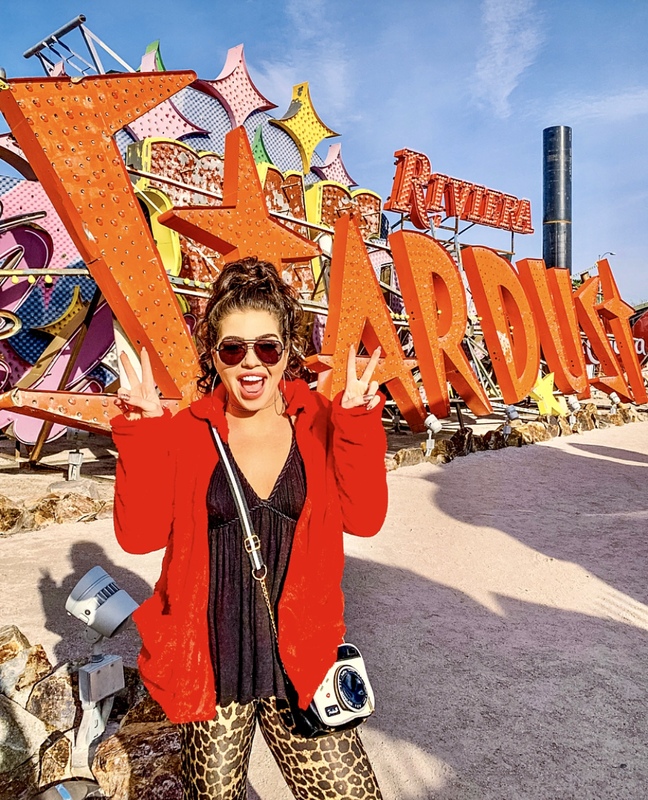 It’s a graveyard of old neon signs from around Vegas- it’s so fascinating and instagrammable. I was excited to finally be able to visit. I also hit this one up early, right at 9:30 am, and there was only one other group there at the same time. Although taking photos are permitted, they don’t want people to have photo shoots, so don’t plan on changing outfits or taking in professional equipment. 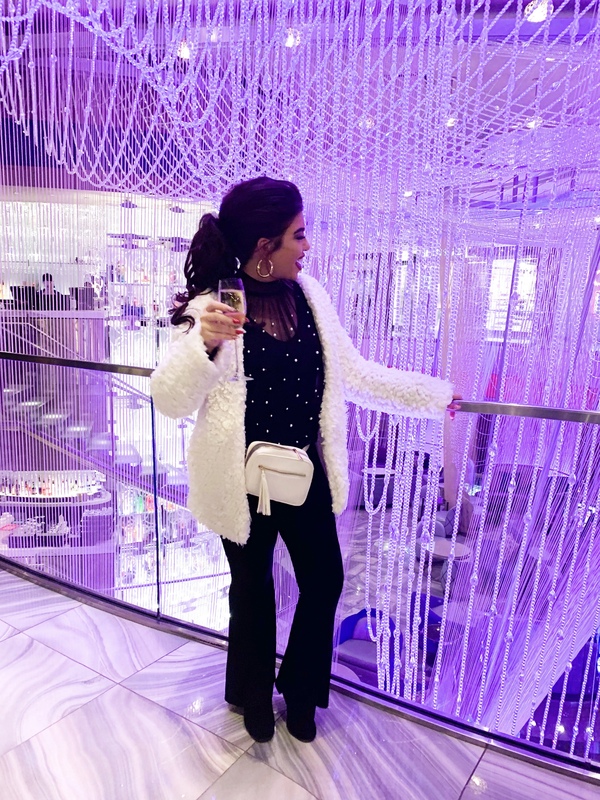 Chandelier Bar- Located in the Cosmopolitan Hotel, I didn’t go here until my last trip to Vegas, and now I finally know where this fun purple shot is from (lol). This bar is gorgeous and impossible to take a bad picture! Pro tip: Order up champagne or even better yet, a cosmo to use as a prop for your snap! Container Park- I also discovered this jewel on my last trip to Vegas. It’s also located Downtown, so you may want to do this while you are heading to the Neon Museum or the Art Walk (mentioned below). 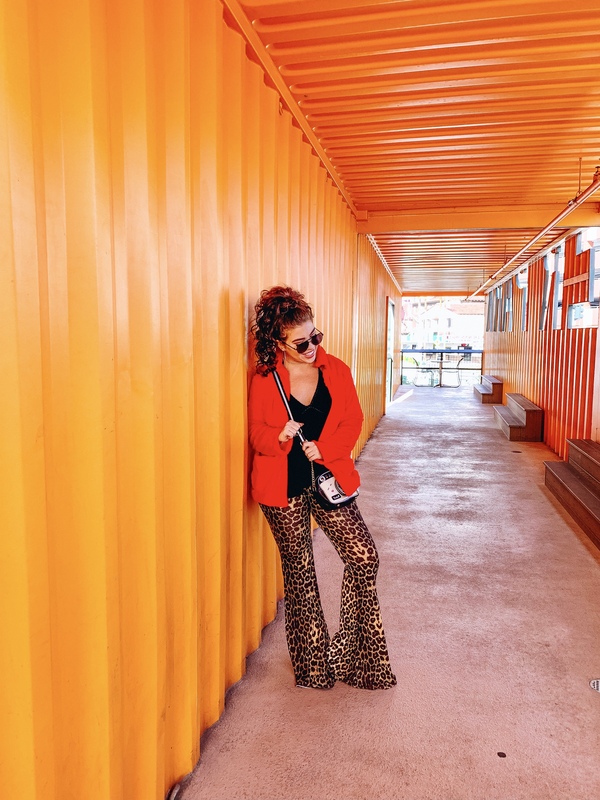 There are lots of instagrammable nooks over here, but the orange container is the most iconic. Downtown Art Walk- Houston (where ya girl is from) has great murals, so it takes a lot to impress me in this department. 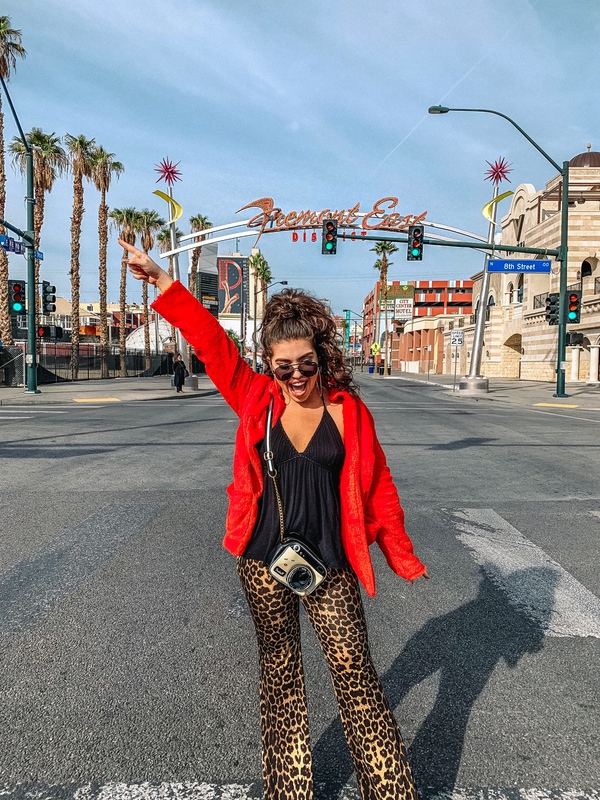 However, the Downtown Art Walk (located in the Freemont East area) is full of fun and funky murals, perfect for jazzing up your Instagram feed. I enjoyed this whole part of Las Vegas. 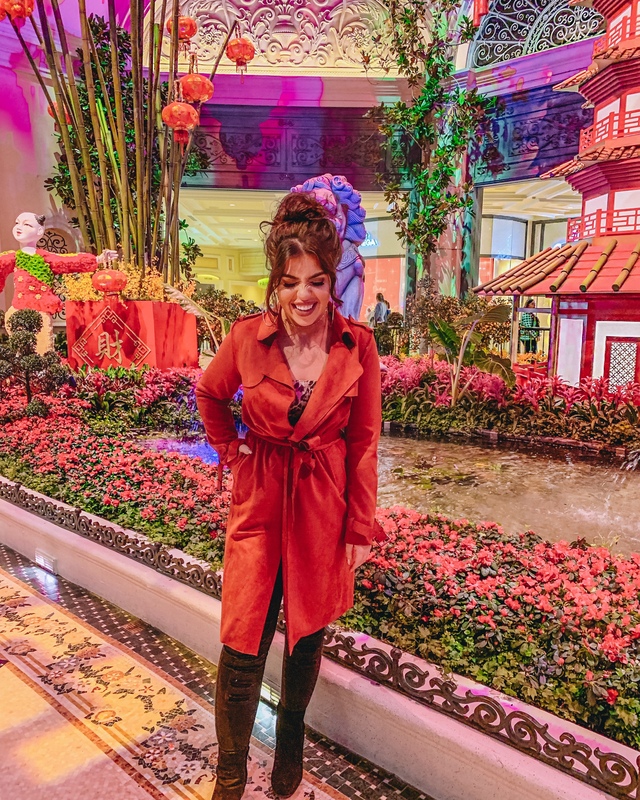 Bellagio Conservatory & Botanical Gardens – The most stunning floral designs and artwork that will take your breath away. The exhibit changes seasonally, so there is always something new to see! Pictured is the Chinese New Year installation. Be sure to check for their dark dates when the installations are being changed. Welcome to Las Vegas Sign at McCarran Airport- This sign is so iconic and fun! Whether you are announcing your coming or going from Las Vegas, it is a great picture! 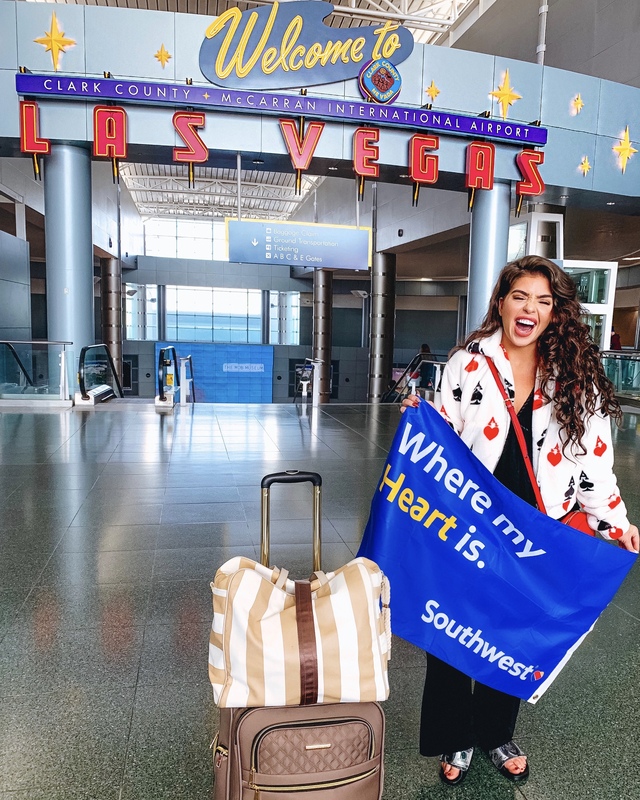 Thank you so much Southwest Airlines for sponsoring this blog post and always having so many flight options to my favorite destinations!! It’s always a pleasure to fly Southwest!